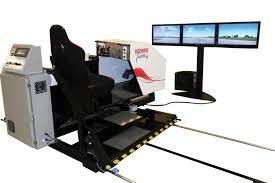 Get a Free Demo in our Redbird Flight Simulators! Hummingbird Aviation is proud to announce that we have acquired two brand new Redbird flight simulators! These are not your typical stationary sims. Oh no, these incredible machines are full motion and will give you a realistic feel of what its like to be in an airplane. Both devices can be used for part 141 or 61 training! 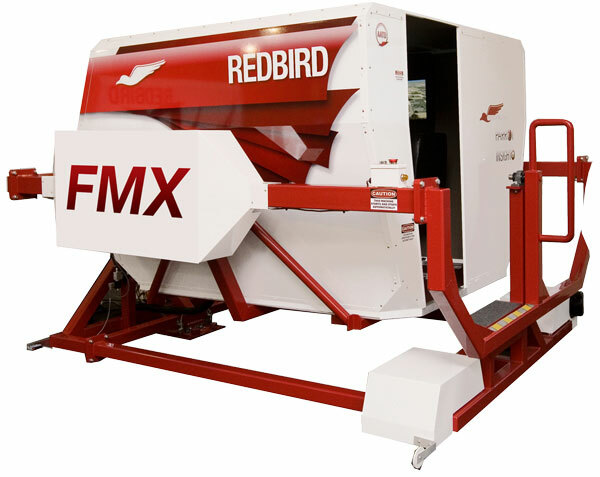 Theres nothing better than the Redbird FMX. This simulator will let your practice nearly any aviation scenario in a safe environment. Whether its flying down the Hudson to the Statue of Liberty or practicing cold weather flying in the french alps, this sim can do it all. Because of its full motion and realistic flight simulation, the FAA classifies it as an AATD or Advanced Aviation Training Device. What this means is that it can be used for nearly every stage of training from private pilot all the way through ATP and instrument currency. Another great advantage is that this device can count for twice the number of hours as a BATD (basic aviation training device). While a BATD can only count for 12.5 hours total for training, an AATD can be used for as much 97.5 hours! At nearly half the rental price of the airplane airplane, this cuts the cost of training down significantly for our customers. Come visit us for a free demo flight! One of the most critical and dangerous parts of aviation is during landing. The leading causes of accidents during this stage of flight are cross wind, turbulence, and gust. Until recently, there hasn't been a way to practice in these adverse conditions besides directly placing oneself in them. This is no longer the case thanks to the Redbird X-Wind. This cross-wind trainer eliminates the risk and lets both new and veteran pilots hone their skills while in a controlled environment. This is a great trainer for new pilots trying to get down the mechanics for landing. No other simulator can adequately help prepare someone for their first solo like the X-Wind can. Students can continuously shoot approaches without having to waste time taxing, taking off or circling back around. In the time a typical student would complete 4-5 landings, our students can complete 30 in the simulator. This helps us produce safe an proficient pilots. In the X-Wind, you can manipulate the winds to be as strong as 30 knots direct cross wind, 15 knots gusting and two different severities of turbulence. There's a seatbelt in this thing for a reason. The wind will blow you on the tracks and off the runway. You can make it as difficult or as easy as you want as you fight the winds down to make a safe landing. The machine will even give you score on your landing. Pilots can score between Crashed to 1000. Come see if you can beat the top score! © 2018 Hummingbird Aviation, LLC | All Rights Reserved.